As your sign lord the Venus is in good place by the start of the year, you will get benefits. Love, happiness and unity between husband and wife will be good. You will get happiness through your children. As the Raghu is in 10th place and the Kethu is in 4th place, you will get happiness through strangers / foreigners. Some will get chances to travel abroad. You will get good abroad blocked opportunities. There will be a development in your business. As the Mercury is not so bad, motifs will get good offers and opportunity. As the Saturn is in 3rdplace, there will be a development in your business. As you have got rid of 7 ½ Saturn, you will get benefits. Working people may get a chance to get desired job transfer, transfer of place. The last year transition of the Saturn, the Raghu and the Kethu will give good benefits this year. In general, this 2018 year will be beneficial than the last year. 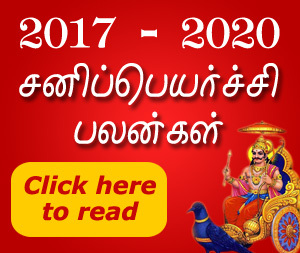 As this year transition (end of the year) of the Jupiter gives you all the benefits, end of this year 2018 will be more beneficial than the start of this year 2018. In general this 2018 year will be beneficial. Worship Goddess Durga to get all the benefits. Worship the planets for more Benefits.